Söll – Cävv | Esc.rec. Söll is Jorge Pandeirada, musician and composer from Portugal. Interested in the concepts of randomness and what many regard as musical error. Pandeirada has a degree in Music Production and Electronic Music at ESART, and right now he’s a master student in Sound Design at FEUP. 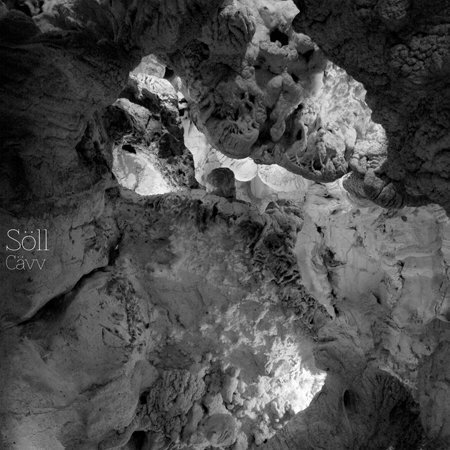 This album is Söll’s debut in electronic music, a field which he ingeniously explores. In doing so he produces a sound that is rich, detailed, fine-grained, hypnotizing and well, timeless. Listening to Cävv is like listening to the perfect soundtrack to an abstruse story, slowly unfolding. Like gliding into in the dreamworld of an abstract creature living in darkness, oblivious to light. Like probing the most placid moment of something monstrous. Like a deep reflection of consciousness. All in all this album is an immersive experience, reinforced by the artwork with fascinating photography by Jorge Pandeirada’s father. Please note: the release date is June 10, but the production of the CD is slightly delayed and ships out on June 27.